What do the iPhone 5S, Samsung Galaxy, Nexus 5 and HTC One all have in common? At some point soon, hopefully today, a person will walk into your business with one in their pocket. Fortunately for businesses with physical locations, each of those smartphones represents an endless stream of valuable consumer data and psychographic information. How can you dive into that data pool? Provide your customers with free Wi-Fi. It may seem simple, but by allowing your customers to access the countless social networks and apps they spend hours on everywhere else, you’ll reap the benefits. If you’re looking to grow your social presence by building an online audience of new and potential customers, Wi-Fi is the answer. Offering free access to Facebook, Twitter, Instagram (and everything else) will improve your chances of engaging and acquiring that customer. According to Twitter, 85% of customers feel more connected to a small business after following them. Additionally, customers are 72% more likely to make a future purchase after making that connection. Rather than paying for Facebook likes, your efforts are better spent converting real customers into a growing, engaged social community. In 2014, people expect Wi-Fi. Bottom line. If you don’t offer it, you’re already behind the ball. Customers have less reason to spend more time in your store. Social media can be a blessing, but it also provides an outlet for people to complain when something isn’t up to par. Don’t violate your customer’s expectations. Exceed them. 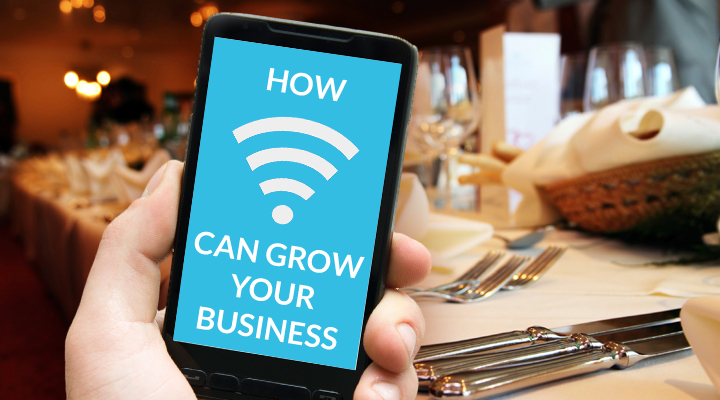 Offering Wi-Fi in your business will allow you to generate online relationships from your onsite customers. The information you can learn about your customer’s habits can help strengthen your physical sales and digital presence by creating a more tailored and appealing environment. It will also provide them an opportunity to download your app and sign up for mailing lists while your brand is still top-of-mind. Next time you see a guy staring at his phone while eating dinner with a friend or sipping a beer at the bar, remember that simple digital distraction can be a world of opportunity. If you want to tap into those opportunities, SocialSign.in is a great option. Their easy to use software service provides a platform for establishing relationships with customers through free Wi-Fi connectivity. To learn more, visit SocialSign.in. significantly with regards to this matter, made me individually imagine it from so many numerous angles. of their Christmas shopping online. It also calls attention to the entire staff that the employee has been rewarded.